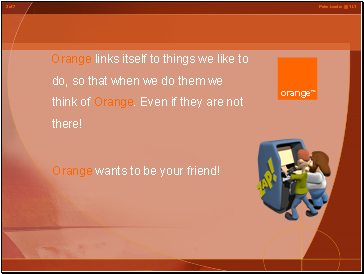 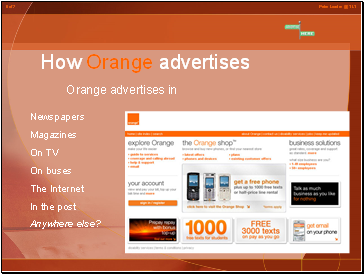 Orange links itself to things we like to do, so that when we do them we think of Orange. 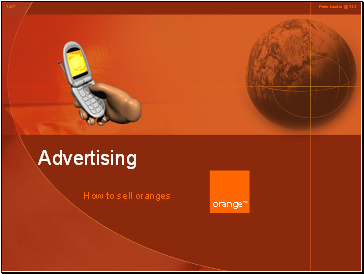 Even if they are not there! 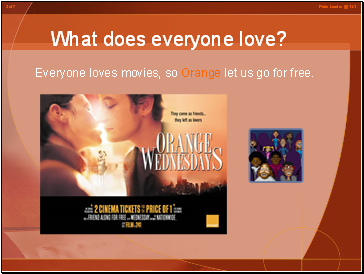 Everyone loves movies, so Orange let us go for free. 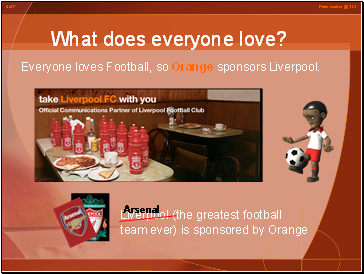 Everyone loves Football, so Orange sponsors Liverpool. 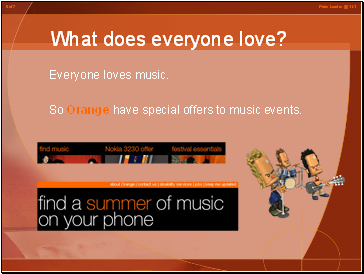 So Orange have special offers to music events. 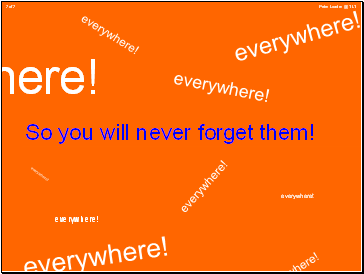 So you will never forget them!